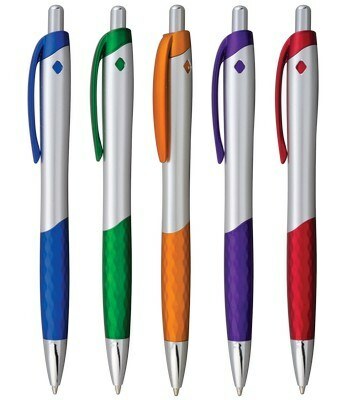 The Diamo Pen features unique metallic accents, Customizable with your brand details. Imprint area - 1 3/8" x 1/2"
Personalized pens like the Diamo provide your brand with dynamite.jpgike marketing power! Make sure that your brand gets maximum recognition by advertising on this click-action pen. 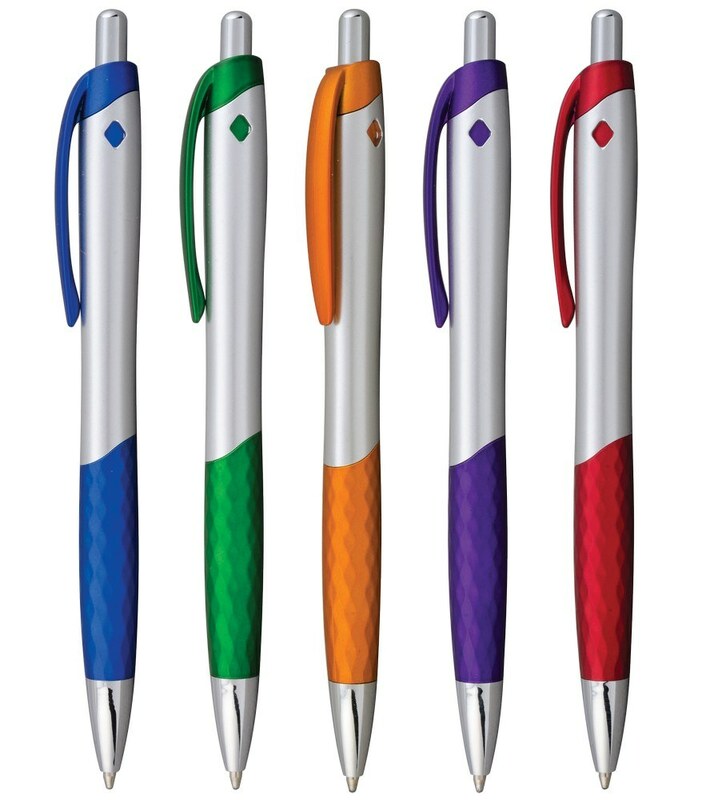 Silver body of the pen ensures that your brand impression gets optimum visibility. Chrome accents on the tip and plunger add style to the pen. Special diamond-patterned plastic grip blends nicely into the user's hand. The pen writes in medium point standard black ink. Choose one of the attractive accent colors available and add your custom imprint on the customization area to create interesting corporate giveaways.